How many times do freshman lawmakers from the Democratic Party need to apologize for anti-Semitic remarks until we understand what truly lies in their hearts and minds toward Israel and the Jews? 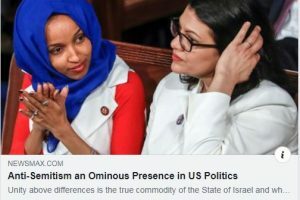 Minnesota Rep. Ilhan Omar allegation that the Jewish lobby and money are buying American politicians seems to be only the tip of the iceberg of a larger anti-Semitic problem of a vociferous and growing radical wing against Israel within U.S. Congress and political circles. Only after a strong condemnation and ear pulling from her own party, Rep. Omar stepped back from her comments, sort of. It was certainly not the first time she sparked controversy with inflammatory remarks. Back in 2012 she tweeted that Israel had “hypnotized the world,” among other accusations during her political career. Meanwhile, Rep. Rashida Tlaib, D-Mich., a firm supporter of Israel’s boycott, has been busy taking pictures with a pro-Hezbollah activist and accusing American Jews of “dual loyalty.” Both lawmakers have been warned by Republicans that “actions” will be taken if their incitement against the Jewish nation continues. Jew-hatred appears to reach consensus regardless which side of the coin the anti-Semites belong to. Holocaust denier and former Ku Klux Klan leader David Duke has weighed in on this controversy, aligning with Omar’s conspiratory views toward Jews. He didn’t miss the opportunity to add more fuel to the anti-Semitic flame. Since Jews, Israel, are blamed for anything and everything in the world, this time Duke brought Trump’s wall to the public discourse, no less, demanding Israel pay for it. One of the ways the nations of the world blame the Jews is by stating that Jews control the world and all evil comes from us. By saying so, they imply that changing the world for good depends on the Jewish people. From Nature’s perspective, meaning the inner forces that operate our world, this is, in fact, what we are destined to provide humanity. This is also the underlying reason for the growing hatred and demands toward us if we fail to fulfill this mission. There is no fine line between anti-Semitism and anti-Zionism. Simply put, there is no line; they are the same. It is just easier and more comfortable for anti-Semites to hide their true colors under virulent criticism against Israel. When the Jewish nation is attacked from all sides, it is clear that we are the only ones we can rely on. Our good future depends solely on our unity. Our nation was forged precisely through that unity, when individuals of different descents pledged to be “as one man with one heart.” Once our ancestors made that vow, they were tasked with passing unity on to the rest of the world, thereby becoming “a light unto nations.” When Jews disassociate from one another — and thereby abandon their commitment to humanity—they cease to be a light unto nations, and in so doing, invoke hatred toward them. As it is written in “The Book of Zohar,” “Because they are of one heart and one mind … they will not fail in doing that which they purport to do, and there is no one who can stop them.” Our sages also stated, “Although the bodies of the whole of Israel are divided, their souls are a single unity at the root. . . . This is why Israel are commanded to unity of the hearts, as it is written, ‘And Israel encamped there,’ in singular form, which means that they were corresponding below, meaning they had unity” (Rabbi David Solomon Eibenschutz, in “Willows of the Brook”). How many times do freshman lawmakers from the Democratic Party need to apologize for anti-Semitic remarks until we understand what truly lies in their hearts and minds toward Israel and the Jews? 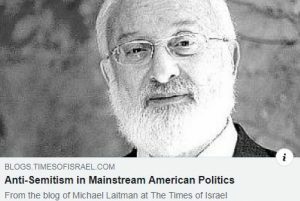 Rep. Ilhan Omar’s allegation that the Jewish lobby and money are buying American politicians seems to be only the tip of the iceberg of a larger anti-Semitic problem of a vociferous and growing radical wing against Israel within US Congress and political circles. Only after a strong condemnation and ear pulling from her own party, Rep. Omar stepped back from her comments, sort of. It was certainly not the first time she sparked controversy with inflammatory remarks. Back in 2012 she tweeted that Israel had “hypnotized the world,” among other accusations during her political career. Meanwhile, Rep. Rashida Tlaib (D-MI), a firm supporter of Israel’s boycott, has been busy taking pictures with a pro-Hezbollah activist and accusing American Jews of “dual loyalty.” Both lawmakers have been warned by Republicans that “actions” will be taken if their incitement against the Jewish nation continues. Jew-hatred appears to reach consensus regardless which side of the coin the anti-Semites belong to. Holocaust denier and former Ku Klux Klan leader David Duke has weighed in on this controversy, aligning with Omar’s conspiratory views toward Jews. He didn’t miss the opportunity to add more fuel to the anti-Semitic flame. Since Jews, Israel, are blamed for anything and everything in the world, this time Duke brought Trump’s wall to the public discourse, no less, demanding Israel pay for it. One of the ways the nations of the world blame the Jews is by stating that Jews control the world and all evil comes from us. By saying so, they imply that changing the world for good depends on the Jewish people. From Nature’s perspective, meaning the inner forces that operate our world, this is, in fact, what we are destined to provide humanity. This is also the underlying reason for the growing hatred and demands toward us if we fail to fulfill this mission. There is no fine line between anti-Semitism and anti-Zionism. Simply put, there is no line; they are the same. It is just easier and more comfortable for anti-Semites to hide their true colors under virulent criticism against Israel. When the Jewish nation is attacked from all sides, it is clear that we are the only ones we can rely on. Our good future depends solely on our unity. Our nation was forged precisely through that unity, when individuals of different descents pledged to be “as one man with one heart.” Once our ancestors made that vow, they were tasked with passing unity on to the rest of the world, thereby becoming “a light unto nations.” When Jews disassociate from one another—and thereby abandon their commitment to humanity—they cease to be a light unto nations, and in so doing, invoke hatred toward them. As it is written in The Book of Zohar, “Because they are of one heart and one mind … they will not fail in doing that which they purport to do, and there is no one who can stop them.” Our sages also stated, “Although the bodies of the whole of Israel are divided, their souls are a single unity at the root. …This is why Israel are commanded to unity of the hearts, as it is written, ‘And Israel encamped there,’ in singular form, which means that they were corresponding below, meaning they had unity” (Rabbi David Solomon Eibenschutz, Willows of the Brook). The enemies of the Israeli nation do not rest. While a Mideast policy bill that would penalize companies or businesses that boycott Israel managed to get approved in the US Senate, on the other side of the ocean in Europe, the situation is strikingly different. Meanwhile, more than 50 British artists urged the BBC to boycott the Eurovision song contest because it is taking place in Israel this year. They signed a letter seeking to cancel coverage of the cultural competition scheduled to take place in Tel Aviv in May citing human rights violations, and also pressuring to move the event to another location. Why the obsession against Israel? Where are the voices against the systematic and deliberate abuses of the totalitarian and dictatorial regimes around the world while Israel is stridently singled out, accused of vicious crimes, and basically blamed for most of the world’s problems? Put simply, this is anti-Semitism hidden under the cover of criticism of the Jewish State. The hatred toward Israel is certainly nothing new, but in today’s intricate global reality we live in, the more frequent and intense the woes, the more humanity blames this tiny nation of Jews for its troubles. And no stone will be left unturned until the country is completely isolated and asphyxiated by a worldwide boycott . It has become increasingly evident that the world is a single interconnected and interdependent network in which Israel plays a pivotal role. The crux of the problem is that we are not performing our part. Our role in the world is to set an example of unity allowing the discovery of the positive force of nature in our connection. As a result of our neglect of this duty, humanity suffers because the balancing force that could bring tranquility to humanity remains unrevealed. Instead of basking in peace and serenity, mankind sinks into harsher states, which reciprocally increase the negativity toward us. 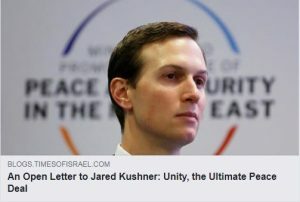 As the wisdom of Kabbalah explains, such a state is achievable by learning the method of connection that holds the keys to global unification and achievement of a fulfilling existence. The nations of the world need to receive this goodness from us. When they do, their attitude toward the Israeli nation will change immediately from hatred and blame to love and gratitude. Tu Bishvat symbolizes a very special state in a person’s life, marked in the Jewish calendar on the 15th of Shevat. It is traditionally associated with the “New Year of the Trees,” so you might ask: “How does this relate to me personally?” It is written in the Torah, “a man is like a tree in the field” (Deuteronomy 20:19), and discovering the deeper meaning of this sentence is our key to a fruitful and flourishing existence. The Tu Bishvat holiday represents the state in which we realize the fruit of our work of planting ourselves in the optimal environment to start growing and settling in a new life with new principles and goals, until we are finally rewarded with the fruit of the Tree of Knowledge, the Tree of Life. We reach Tu Bishvat when we discover a world of goodness and perfection, the opposite of the world that we currently perceive. We do not reach Tu Bishvat all at once. We reach it only after a gradual process of development that begins with a seed, a desire that has an impression from our deepest spiritual root, which must be nourished properly until it grows into a tree that bears the fruit we will harvest: the attainment of the spiritual world of wholeness and tranquility. In order to reap that bounty, our optimum spiritual growth requires the influence of a spiritually supportive and encouraging society. Similar to a tree that depends completely on its environment, so do we humans. The only difference between the two is that we can move ourselves to a new environment if our current one is harmful, while the tree cannot. Therefore, the first and most important phase of our spiritual development is the recognition of good and evil in our surroundings. Each of us must perform a self-scrutiny and an examination of who surrounds us to determine whether we are placed in a fertile field, one that will help us advance toward our higher goal of fulfillment above the base earthly level, or whether we’re in poor soil, which distances us from that exalted purpose. We can reach the desired state when we attain nature’s qualities of love, bestowal and connection. However, such a goal requires us to ascend above our egoistic nature—our narrow, short-sighted lens through which we try to exploit everything and everyone for our own advantage—and acquire an opposite, loving and giving nature where we positively connect to each other. To do so, we need not correct other people. We only need to correct ourselves. In fact, Kabbalists explain that the upper world is revealed as an inverted tree in the eyes of our world. In a field, the more a tree grows upward above the soil, the deeper its roots grow down below the trunk. Trees connect to each other underground through a sprawling network of roots. Similarly, we ascend by deepening our connection with others, because our attitude toward humanity is how we attain the upper spiritual forces. When we reach such a level of connection, everything we previously perceived as broken will look as if it had been turned inside out, revealing reality as whole and purposeful. This is the state of Tu Bishvat. It is the feeling that Divinity (Shechina) fills the world, the revelation of an upper force that governs everything and gives a sense of eternity and endless fulfillment. This is the fruit of the Tree of Life that we will harvest at the end of our development, when it is ripe and we are ready to enjoy it. 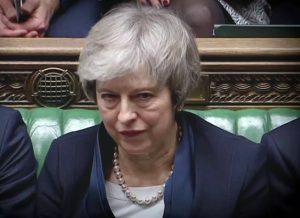 “This is the most significant vote that any of us will be part of in our political careers,” pleads UK Prime Minister Theresa May to the House of Commons just moments before her Brexit deal was turned down in what was the largest government defeat in the UK since 1924. But as her defeat was historically certain, so is the future of Great Britain uncertain. The prospect of exiting the EU without any deal whatsoever could have very negative consequences, and a deal that is agreeable by all parties is still hard to conceive. Looking beyond the Brexit due date of March 29, however, one thing is very certain: The fate of the UK, is tied to the European Titanic, which slowly but surely, is going to sink. It could take a decade or more, but ultimately, the EU will not stay afloat. One way or another, the dismantling of the EU will be a difficult and painful process, just like it happens between spouses. When they get married, each side euphorically thinks about what they’re going to gain. But when they get divorced, each side is anxious about what they’re going to lose, which can easily lead to an ugly divorce process. The crumbling EU is yet another instance of what is happening in the world at large. We’re in a time when human connections are breaking to pieces on all levels, whether it is between parents and children, brothers and sisters, marriages, communities and entire societies — all are gradually disintegrating. We are witnessing a new era in the evolution of human society. 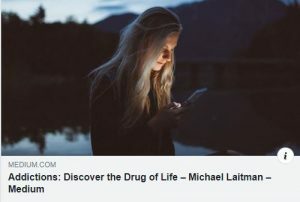 For hundreds of years, we were being pushed by our egos to form greater and more beneficial connections, a development which has given us science, culture, education and so forth. The human ego was climbing upwards towards its peak. However, along with the turn of the century, a new phase is taking shape. The human ego begins to develop in the opposite direction, increasingly making us feel that it is more convenient and beneficial to break away from each other. The creation of the EU and its gradual disintegration reflect exactly this process. Forming the EU was an idea that made a lot of sense; however, the correct preparation and foundation for it were lacking. The time was right, but the method to do it wasn’t there. Herein lies the failure that led to where we are today. In order to create sustainable societies in our time, political institutions and economic systems are not enough. The evolution of the human ego requires that we form a whole new level of connection between people. We have to discover the underlying network that is embedded in nature and binds us together. Without fostering a new level of connection between people, the collapse of the EU is bound to happen. We can expect to see greater and greater division among European countries, to the point of violence between citizens, as well as hostility between nations. In fact, the vote for Brexit itself was a clear indication of the UK’s social divide, with less than 2% of voters who tipped the scale. Our time demands that we become conscious of how nature guides us towards greater connection. The smartest thing for leaders to do would be to stop everything they’re doing right now and use the means at their disposal to initiate a massive educational campaign. Instead of the futile attempts to make decisions based on a shattered state of society, we have to focus on forging a new level of connection between people that will lead to better decisions. The EU married together 500 million people politically and economically, but this marriage will end painfully unless it is matched with a deeper human connection. Imagine a world where a decentralized virtual network manages every aspect of our lives for us, where all we need to focus on is helping one another be better humans. Blockchain technology will play a key role in weaving the future society we will all shape together. Yet in order for this new technological stage to work in our favor, we will need to adapt our way of thinking, wrap our head around new concepts, and embrace new values. The various intricate and threatening scenarios taking place around the world today in the form of social polarization, political instability, climate destabilization, mass immigration, technological unemployment and more, are actually the first signs of a new humanity. This is because the birth of something new is always painful and this is what we are experiencing now. We will need to reorganize human society in a truly comprehensive manner to ensure our interdependence and interconnection are beneficial to our prosperity and are in sync with the natural system. To do this, one thing will have to change along with our technologies – ourselves. According to futurist Dr. Roey Tzezana, in the coming decades we will no longer need the territorial institutions we have in our world. Most of the government and civil services will be provided automatically and can be managed remotely via emerging yet highly reliable technologies such as blockchain. Essentially, “cloud nations” will be a virtual way for any group of individuals to unite under a common identity, and set up their own “smart contracts” for managing their relationships. Unlike the physical countries of today, these new virtual entities will not be limited by territorial restrictions, and members will be able to come and go as they please. Ultimately, cloud nations have the potential to distribute decision-making processes to their citizens, which would gradually render many government institutions obsolete. 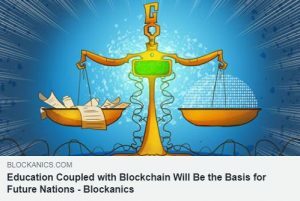 With all human behavior being automatically monitored and fed into this vast network, cloud nations will also include decentralized systems of justice. Prompt justice will be available to any citizen at any point in the network, making most of the current functions of courts redundant. In addition, cloud nations will allow for a cooperative economy that doesn’t concentrate power in the hands of the few, and systems would be in place to calculate the basic needs of every human and print 3D versions of whatever we need. The core values of the Jewish Cloud Nation are to be determined by a special committee of Jewish sages. This distinguished group of great thinkers and social scientists will meet in person to formulate universal values for Jews everywhere. It’s hopeful to see that how experts who recognize the imminent technological future also envision the emergence of a cooperative society, and are also taking steps to help form such a society. Such a vision corresponds directly with the social teachings that appear in the authentic writings of Kabbalah. Indeed, in our time, we are coming closer to the need to forge a new concept for human society. The escalating crises in countless realms of human engagement are pushing us to rethink the foundations of our culture. 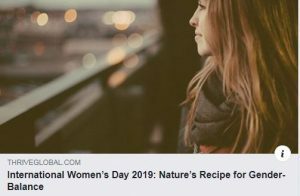 This is nature’s way of getting us to evolve towards the next degree of human connection, which means a change of thinking and a change of values. Thus, it should come as no surprise that forward-thinking technological entrepreneurs are among the first to identify this trend. They are also quick to identify the practical tools we can use to create an infrastructure that will enable a new social order at every level: economic, social, political, educational etc. However, smart contracts are not enough to bring people together. Technology does indeed upgrade our abilities, but it doesn’t upgrade our inner qualities and the way we relate to each other. In order for a cloud nation to be a model society promoting genuine mutual concern between citizens, it must begin an educational process that would be embraced by its citizens. They would need to learn about the benefits of mutual consideration and build new norms and values for positive social engagement. Ultimately, they need to develop a new way to sense each other, as pieces of a single whole. This is a conscious development that requires people’s willingness to change their perception of life. For instance, a central aspect of such a change is the issue of privacy. To futurists such as Tzezana, it’s clear that no matter how much we discuss the right for privacy nowadays, in the technological future, the struggle for privacy is a lost battle. In fact, the more individuals are willing to relinquish their privacy, the more beneficial and effective will be the systems they can establish for themselves. Privacy in cloud nations will have to be reduced to a minimum, but the willingness to give up one’s privacy will not come naturally. This is a sensitive matter that requires great preparation and adoption of new values. Part of the educational process would be to help us willingly exchange our need for privacy for real benefit. This is just one example of the need to enhance human consciousness and nurture human connection. As we head towards the future society that today’s technologies are weaving before our eyes, we will have to adapt to new values and concepts that may seem utopian. However, this is because most individuals today lack the sensation of being a single part of a whole. Therefore, our number one concern in crafting our interconnected future should be how to educate ourselves. Rather than letting technology lead the way, we can already take steps towards the change we have to go through — becoming interconnected human beings in a society that promotes unity and rewards mutual concern and consideration. In the future society, people will sense that if they are not actively contributing to the welfare of the whole, they are indirectly harming others as well as themselves. Then, our advanced technologies will work to everyone’s benefit.